Once you get your head around the writing style – mainly the old-fashioned language – this book is fantastic. I pretty much read it in an afternoon, it was so engrossing … and very unsettling. 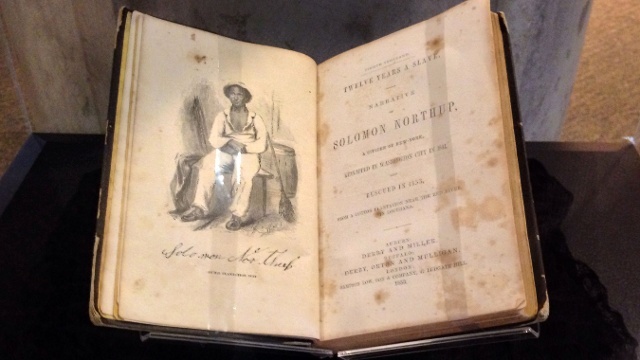 Twelve Years a Slave by Solomon Northup was published in 1853 and documents Northup’s kidnapping and enslavement. After stating he was a free man from New York, he was beaten so badly by his captors he decided it was better to preserve his life and bide his time. He was sold and passed around between an unfortunate mix of decent and horrific owners (guess which way the balance fell), tried to escape, fought in self-defence, helped others, built things, picked cotton, played his violin at gentrified parties … it’s a life of one thousand men. What he goes through, and how he manages to be free, make for mesmerising reading. No wonder it was turned into a movie (which I haven’t seen). I’ll be looking out for it now though. 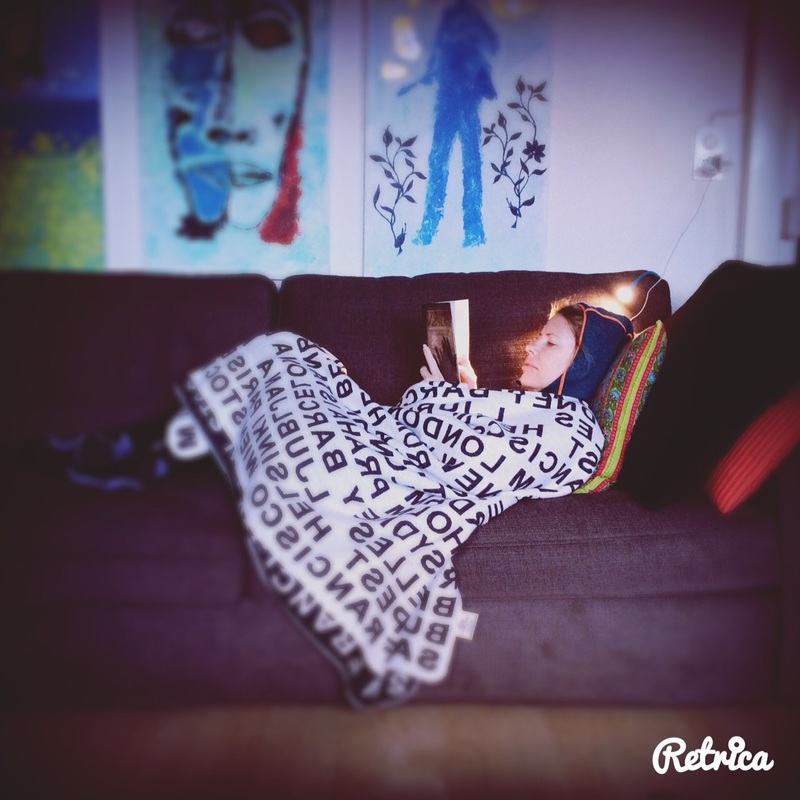 Have you ever been so engrossed in a book, you turn into a zombie? Here are photos Leo took to prove it. When it got a bit cold, I just rugged up more. No way was I moving! I wanted to read it fast because not only was it just one of those stories, but I also didn’t want that stop-start reading experience I had with Alice Monro. Do you think you enjoy a book more when you read it in one or two sittings, rather than a page or two each night? I really like getting my teeth into a book and believe this intensive reading experience plays a major role in how much you enjoy a story. I’d definitely recommend this book … to be in awe of one man’s fight against injustice. My struggle with this book too was the writing style. Though I learned to appreciate it more as the story goes on. It’s such an engrossing tale, I believe it when you said there’s no way you’re moving while reading it. Haven’t watched the movie as well, but I bet with a story like that, it’s no wonder it won those many awards! 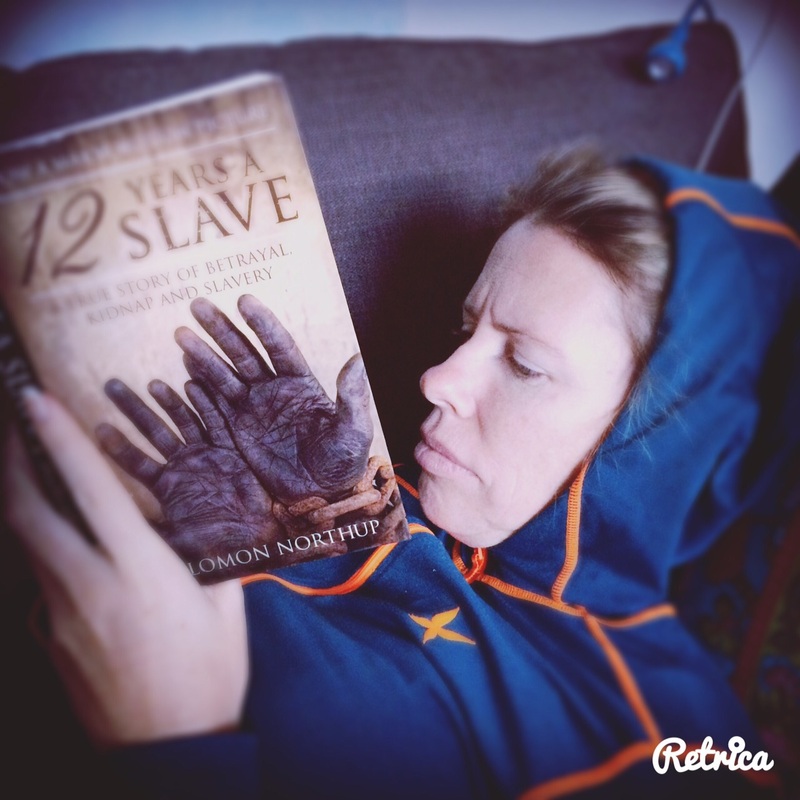 Couldn’t have said it better joieangela – once you’re into the book, it seems to flow much better in your head! I’m glad you enjoyed it too. Now for the movie!